Some discounts are only applied during the checkout procedure. Some promotions are only offered through social network pages such as Facebook. Click like to be kept informed! All discounts and promotions are subject to change or cancellation without notice. 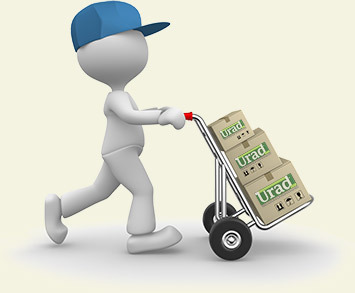 A discount is available when you get 2 jars or more of Urad* of the same color. 3% discount when you buy 2 jars. 7% discount when you buy 3 jars. 10% discount when you buy 4 jars. For 5 jars or more... the discount is disclosed in the cart only! Available in Canada and United States only. Applied automatically, no promo code required. *Doesn't apply to the 50ml size. This discount is applied automatically to shipping charges when you checkout. Available in United States only.